This charming papier mâché trunk is ideal for storing miniature treasures. Decorate it with papers, paints, stencils, or embellishments — the possibilities are endless! 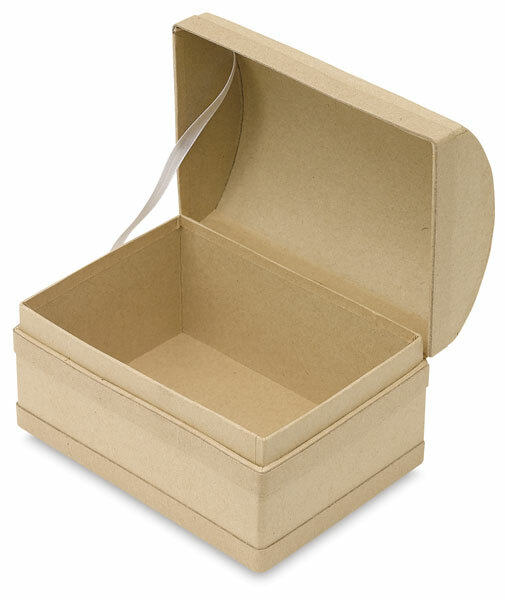 Each trunk measures 3-3/4"H × 3"W × 4-7/8"L (10 cm × 8 cm × 12 cm), and has an attached lid.